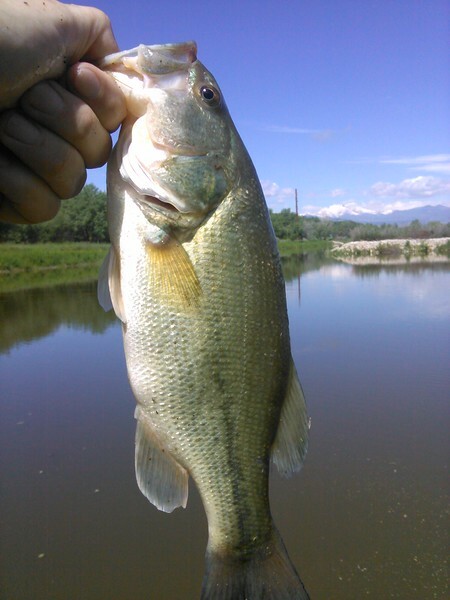 Fished at Golden Ponds Park in Longmont on the morning of Saturday June 6, 2015. Golden Ponds consists of three ponds in a rather urban area of Northwest Longmont. Golden Ponds Park and Nature area receives heavy traffic from dog walkers, joggers, picnickers, birders, and of course fisher people. I’ve never had trouble parking in the lot next to the ponds, however. There are wonderful views of Longs Peak, and the St. Vrain Creek and Greenway run just South of the ponds and are easily accessible across a footbridge. The area was hit hard by the floods of September 2013, and the South bank of the first pond is still closed. I’d fished Golden Ponds previously a little with no luck, but this particular morning was rather excellent (relative to other Boulder County warm water fishing). The first, most Eastern pond (actually Pond #3) is the largest and most heavily fished, with a pier and easy access bank fishing. You can park and have a line in the water in about 15 seconds. So this morning I started by fishing the East bank of the first pond, and within 10 minutes caught a couple of nice two-pound bass and a couple of smaller bass as well. Weather was perfect, maybe 65 degrees and partly cloudy. I was fishing with my typical lightweight spinning rod and small crankbait. The two bass were easily the largest bass I’ve caught in Boulder County and I was jazzed. 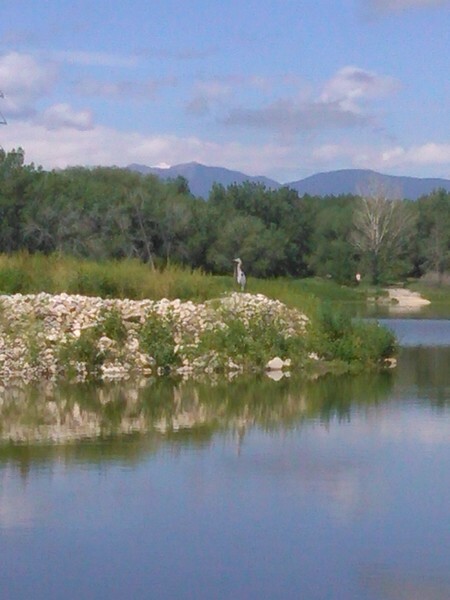 A heron was itself fishing on an island in the middle of the pond, and the view of Longs Peak was majestic. Go Colorado. After a bit I moved on to the middle pond (Pond #2) with no luck, and then the most Western pond (Pond #1). There were a couple of guys in belly boats on this pond fishing with what looked like artificial worms (artificial flies and lures only on Ponds #1 and #2), but they didn’t seem to be having much luck. On the West bank I had a few bites, saw dozens of perch, fingerlings and few larger bass. I had been switching between a mini Rapala, bigger Rapala, and a couple of more crankbaits searching for a solution, but nothing was taking. On the North bank of Pond #3 I caught another little bass and a couple of perch with my mini crawdad crankbait that always seems to produce. The sun was up and I was getting a bit burned by this time, so I called it a morning, and was happy with it. Will definitely go back. DON’T DO DAT ANY-MO, OKAY! ?